Concealers are a must-have beauty tool for aging skin. When those wrinkles and fine lines begin to show, it’s time to hide them. There are many different types of no-crease concealers including the Stroke of Light Eye Brightener by bareMinerals for instantly brightening the eye area and diffusing shadows. It can reduce the appearance of circles and lines with persistent use. Perfect for all skin types, the Cover Everything Concealer by ELF offers coverage that lasts the entire day. It makes blending easy using a creamy formula. 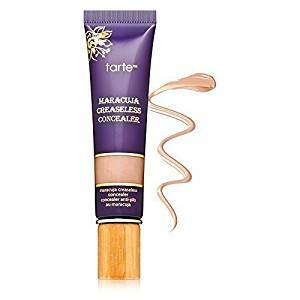 If complete coverage is what is needed, one needs to go for Tarte’s Maracuja Concealer. It is a vegan product which is also waterproof. Opt for the eye rehab concealer by Covergirl and Olay for the power of serum and makeup in one shot. It helps to improve the condition of the skin over time, due to serum type properties. Jolie’s Total Coverage Concealer nourishes the skin while protecting it from oxidative stress using vitamin A and E. It is lightweight and comes with a no-crease formula. So, let’s delve deeper into what makes each of these non-creasing concealers intriguing. 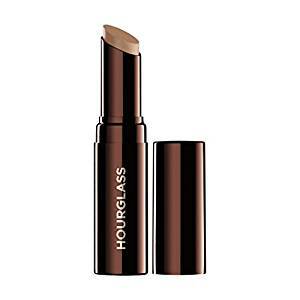 This Hourglass Hidden Corrective creamy, moisturizing and lightweight concealer blends easily into the skin for a flawless and natural finish. This weightless, creamy concealer hides skin imperfections with the use of natural coverage. This Hourglass Hidden Corrective concealer camouflages redness, hyperpigmentation and marks or blemishes apart from age spots. It’s a long-lasting impact, and the lightweight, moisturizing formula does not settle into fine lines. Antioxidant vitamin E helps in protecting the skin from environmental factors that are damaging. It is crafted without any dyes, artificial fragrances, phthalates or sulfates. This Hidden concealer softens the skin and provides a protective layer that is the result of its vitamin infused action. Hourglass products are 100 percent cruelty-free. The Hidden Concealer has ingredients such as glyceryl triacetyl ricinoleate, Ricinus communis castor seed oil, isopropyl palmitate, ozokerite, beeswax, octyldodecanol, talc, Copernicia Cerifera or carnauba wax, Euphorbia Cerifera/Candelilla wax, propylene carbonate, disteardimonium hectorite, tocopherol, tocopheryl acetate, Phenoxyethanol. It may contain titanium dioxide, iron oxide- CI77492, CI77491, CI77499. This concealer comes in lipstick or sticky tube like format with a mechanism twisted up. The cap closes securely and the tube is lightweight and travel-friendly. The concealer is creamy and has a dry texture. On account of this reason, it causes a tug if you were to drag it on the skin. The preferred method is to dab some on the area one is seeking to conceal. This includes under eye and blemishes. It can be blended out by tapping it in with the fingertips, as the warmth of the fingertips helps to melt the product into the skin effectively. This medium to full coverage concealer when used on the under-eye area barely requires a corrector underneath. Counteract the darkness with the light. This concealer provides excellent coverage in terms of the thinnest layer and brightens the under-eye area, eliminating dark circles. This concealer does not have kinds of sheen. This concealer comes in 10 shades. The shade natural is described as a light medium, with neutral undertones true to the name and matches the skin tone perfectly. This concealer is a bit heavy on the skin and it is important to use the thinnest possible layer, as it has the tendency to cake up with heavy application. As the texture is dry, it might not work for those with dry skin, as it adheres to dry patches and accentuates it further. Further, there are no issues when an undereye concealer is used. But the rest of the face is dry, posing a problem for when the concealer needs to spot the blemishes or breakouts. Staying power for this concealer is exceptional, with it staying on for 6-7 hours before a slight fading and a shine-free finish sans the need for touch-ups. This concealer has a superlative staying powder, texture and finish. The concealer is a bit creamier, less heavy on the skin and does not tug as much. It also creases less and does not lead to the accentuation of fine lines. The concealer also offers a natural-looking matte finish and a full coverage to hide really obvious dark circles. If you have a lot of fine lines or wrinkles or dry skin, a concealer works to recommend it. The concealer is travel-friendly, portable with a sturdy retractable tube. It also offers medium to full coverage. It works best as the thinnest layer on the skin. It shines freely and offers a natural-looking matte finish. It also comes with excellent staying power. Further, it is easy to blend. It also comes with an excellent shade range. It’s creamy, smooth and easy to blend with sponges or fingertips. It has a silky texture which blends easily. It provides full coverage without looking obvious. It is fragrance-free and reduces creasing. It is a cruelty-free concealer. It does feel heavy on the skin if applied too much. It does tend to cake if applied excessively. It does crease slightly when the skin folds naturally, therefore it is not the best choice for mature skin. It does tug somewhat on account of the drier texture. Dry, powdery finish can accentuate dry skin or wrinkles. Pricey yet good, it is not the ideal concealer for budget conscious customers. The Hourglass Hidden Corrective Concealer is an excellent beauty product with a few issues, though. It is quite costly and not suited for dry skin. On the other hand, it offers a silky smooth finish for other skin types. It is cruelty-free and not tested on animals. Additionally, this non-creasing concealer provides full coverage without appearing too obvious. To buy the Hourglass Hidden Corrective Concealer, try the next link. This Cover Everything concealer that does not crease and has a creamy, blendable formula for covering imperfections, flaws and dark circles effortlessly. It is great for different skin types and offers buildable coverage. This product comes in a white, sleek compact with a transparent flip open cover. The shade code and the name are mentioned at the back and the is tightly shut, which adds to the sturdiness. ELF’s Cover Everything Concealer is available in 4 different shades, and the concealer is extremely thick so it can get oily on hot and humid days. This particular shade has peach undertones to cover and neutralize discoloration and darkness. This provides a zero-crease finish and does not accentuate dry areas. As far as longevity goes, the concealer may fade post a 5-hour mark. There’s no big deal because it is 100% buildable and does not end up being cakey. 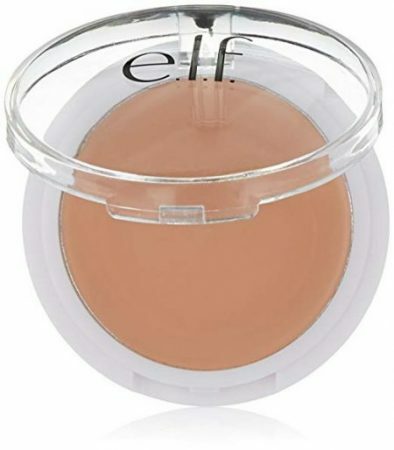 This Cover Everything Concealer by ELF contains Mica, Ethylhexyl Palmitate, paraffinum liquidum or mineral oil. It also comes with ozokerite, microcrystalline wax or Cera microcristallina, tridecyl trimellitate, bis diglyceryl polyacyladipate-2, polyisobutene, silica dimethyl silylate, Phenoxyethanol, polyglyceryl-4 isostearate. The concealer also comes with titanium dioxide CI77891, Iron Oxides CI77491, CI77492, CI77499 and Yellow 5 Lake CI 19140. This concealer is amazing and stays true to the name, considering the price. It is comparable to other high-end products. The rich cream concealer covers undereye circles and imperfections for flawless and exceptional coverage. The concealer needs to be dabbed in areas to get the flawless, natural look. Dab the concealer onto areas desired for a natural, flawless look. This gentle safe formula is perfect for all skin types for the beautiful healthy-looking skin. The concealer remains creaseless for hours. It is lightweight, portable and travel-friendly in terms of packaging. It offers a good amount of coverage. This concealer is more on the greasy side. It also wears off easily. It does not work for acne prone skin. The concealer is linked to positive ratings because it is easy to apply and remains no-creasing for a long period of time. It offers excellent coverage. The concealer, however, has a greasy side to it too. It does not work well for acne-prone skin. To buy the Cover Everything Concealer by ELF, try the next link. If one is in search of vegan friendly products, the best creaseless undereye concealer is none other than Tarte’s Maracuja Creaseless Concealer. It is the winner of the Best of Beauty Award and the Allure’s Reader’s Choice in 2015. Enriched with maracuja oil, the product helps to tone, moisturize, and improve the skin’s texture. Blendable and strong, this liquid makeup leaves a bright, luminous shine and a dewy finish. The concealer is packaged in a squeeze out tube that can be easily used. It has a thick consistency associated with a balm, yet blends out easily and is highly pigmented. On account of its thick consistency, the product needs to be blend with a brush or the fingertips. Avoid the use of a sponge since it leads to wastage and wipes away the product. In truth, the concealer does not need to crease because of the tacky feel once applied. It offers long wear but needs to be on the safe side. Finishing it off with the powder is critical. The concealer is vegan, with full coverage and creamy type undereye concealer from the top American concealer brand. It comes with as many as thirty shades and a new application to make the appearance totally foolproof. It covers redness, dark circles, and dark spots. The waterproof formula does not crease or sit in finer lines. Additionally, it is powered by vitamin C-rich maracuja for bright, smooth and firm looking skin. It is always formulated without parabens, mineral oil, phthalates, sodium lauryl sulfate, triclosan, and gluten. This concealer comes with caprylic/capric triglyceride, Bis-diglyceryl polyacyladipate, silica dimethyl silylate, cetyl alcohol, VP hexadecene copolymer, microcrystalline wax or cire microcrystalline or Cera microcristallina. Tocopheryl acetate, caprylyl glycol, Phenoxyethanol, ascorbyl palmitate, Passiflora edulis seed oil as well as tocopherol. Other ingredients include Titanium Dioxide, iron oxides CI 77492, CI 77491, CI 77499. Yellow 5 Lake or CI 19140 are also added. Just like it claims, the concealer does not crease. It offers long wear, but on the safe side, finishing it off with a powder is critical. This is especially if one has oily skin. The product is loved since it is hydrating. It also offers long wear. It has the right tone to make color correction look easy and offer a natural, fresh look. It covers every imperfection without looking chalky, mask-like or cakey. It is also 100% vegan. It remains true to its no-crease formula. It is also blendable and comes with a vitamin-packed formula. It is formulated without phthalates, sulfates or parabens. It can be too costly. It can be too thick. It may not work for oily skin. Rich in vitamin C and essential fatty acids, this Maracuja concealer is essential for smoother, brighter and firmer skin as well as optimal hydration. Vitamin C is an antioxidant free radical fighter that prevents premature signs of aging while brightening the skin. Vitamin E is a natural preservative that works as an antioxidant and emollient. Mineral pigments soften and smoothen the skin. This product is dermatologically tested, hypoallergenic, waterproof, vegan, and hydrates the under eyes for 16 hours. The concealer is perfect for a wide range of reasons, one being it is suitable for a wide variety of skins. However, it is also extremely costly. To buy the Tarte Maracuja Creaseless Concealer, try the next link. The Covergirl and Olay Eye Rehab concealer is the best no-crease concealer for benefiting serum and makeup in one go. Aside from brightening the undereye area immediately, it evens out the skin tone with continued use. It is greater for those with drier skin types, and this product has a hydrating feel, easily gliding onto the skin. Since it has too much slip to it, it is difficult to keep on areas where required. This creaseless concealer is best blended out and applied using one’s fingertips. This no-crease concealer is easy to apply and blend out using the fingertips. It blends quite effectively with the skin and looks unnoticeable. It also requires minimal effort. This is a more hydrating serum, as it adds up youthfulness in the undereye region. It provides long-wearing impact, and at the end of the day, offers excellent coverage. This is a great pick-me-up product. Cyclopentasiloxane water or Eau is the base ingredient. The no-crease concealer also contains glycerin as well as dimethicone crosspolymer, disodium EDTA fragrance, Crosspolymer Talc Sodium Chloride, Niacinamide, PEG-10 Dimethicone crosspolymer methylparaben, Acetyl Glucosamine, PEG and PPG-18 as well as 18 Dimethicone Panthenol Palmitoyl tocopheryl acetate, Diethylhexyl Carbonate, Ethylhexyl Methoxycinnamate, Camellia Sinensis Extracts aluminum hydroxide, Pentapeptide-4, allantoin methicone, benzyl alcohol,ethylparaben, propylparaben, plus Parfum and PEG-100 stearate. It also contains titanium dioxide and iron oxides. While a little goes a long way, it’s a natural finish that counts most. This concealer has been rated positively because it offers the best finish, with travel-friendly packaging and affordability you can rely on. The problems that come with using this concealer include added fragrance and further, that it is formulated with parabens. This concealer works well even in small amounts. It offers portable packaging and travel-friendly movement. It provides a natural finish. It also comes with a pump dispenser dispensing plenty of the product. The Covergirl and Olay Eye Rehab Concealer works well, though it has some issues such as formulation with parabens and fragrance. The concealer works amazingly well to fend off a dry or dull look and works best on a wide range of skin types with a cost-efficiency that sets it apart from the other concealers in the group. 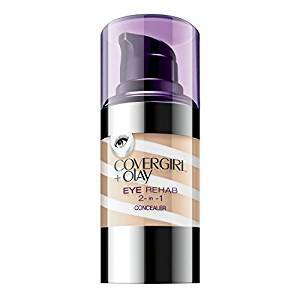 To buy the Covergirl and Olay Eye Rehab Concealer, try the next link. Jolie’s Total Coverage concealer is formulated for hiding scars, bruises, freckles, burn scars, age spots, birthmarks, rosacea, and varicose veins. The heavy-duty blendable creme works for covering skin flaws with complete coverage. It provides natural-looking coverage for imperfections in the face and the complexion. This exceptional crease-free concealer has a creamy formula, for moisturizing and brightening the skin. It also comes imbued with vitamins E and A to nourish the skin and protect it from free radical damage. Buildable and blendable, this product covers imperfections like darkness in the undereye area, blemishes and more. It feels like a lightweight formula while providing full coverage. Highly pigmented, this concealer is easily applied to the skin without sinking into the dry skin or fine lines. 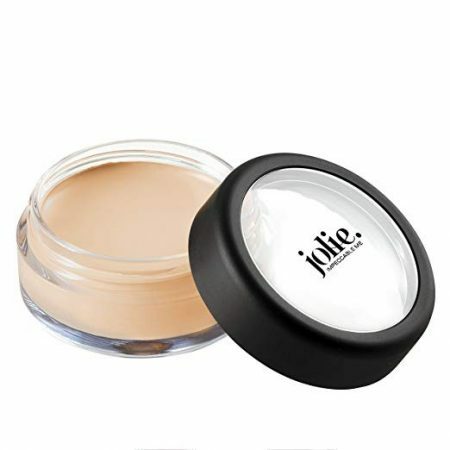 The Jolie Total Coverage concealer has petrolatum, PPG-2 Myristyl Ether Propionate, Isopropyl Palmitate, Polyglyceryl 3 Diisostearate, Hydrogenated Castor Oil, Squalane, Silica, Kaolin, Nylon-12, Ceresin, Safflower seed oil or Carthamus Tinctorius, Dimethicone, Methylparaben, Tocopherol, Propylparaben, Ascorbyl Palmitate. It also contains Mica, Titanium Dioxide, Ultramarines, Iron Oxides, Chromium Oxide Greens, and Chromium Hydroxide Green. It is easy to apply using fingertips and boasts a crease-resistant formula. It is suitable for all skin types; customers with sensitive skin say there are no problems while using this product. The concealer is not cheap but is fairly affordable as against high-end brands. It is excellent for mature skin. The product effectively covers up any age and brown spots. It can also be used as a highlighter based on the skin tone and has the wear to last the whole day. You can also ensure imperfections vanish. The softer, creamier formula is designed for alleviating under eye circles. It is also to keep the eye circles under cover. It hides and brightens the skin, offering a flawless look. The non-drying formula conditions the skin. It can also be used to cover blemishes, age spots, and other imperfections. It provides a lot of coverage. It is easy to apply and remains in place. A little bit of the concealer goes a long way. It also has silky, velvet-like texture. It is formulated with parabens. It comes in a cumbersome container. It is a little too thick. Jolie’s Total Coverage Concealer brightens and illuminates the under-eye area. It also conceals the undereye circles remarkably well. It does not flake, crease and no touch-ups are needed. It also brightens the undereye area, covers darker circles and helps even the skin tone. It is also fragrance-free while moisturizing and brightening the skin. To buy Jolie’s Total Coverage Concealer, try the next link. If you are looking for something to keep your undereye concealer from creasing, you need to be careful about how you apply it as well. Go light with the setting powder. Apply the powder to help set the look and minimize the chance of creasing. Ensure that there is a light hand, as it is easy to create a problem with excessive use of undereye concealers. Another important point is to be careful where the concealer is placed. Focus on the triangle area in the eye’s inner corner areas, as these are more prone to darkness. There is also less creasing as the skin is smoother. The amount of creasing is based on the concealer texture. Dry concealers are prone to creasing as they are not flexible and tend to cling on skin folds. Another point is that you need to ensure it is completely penetrating the skin before wearing the concealer. One can do this by applying eye cream first, and then wearing makeup and finishing it off with an undereye concealer. Another important aspect is that one should not go too near the lower lashes because this is where the product creases. If one gets close by accident, it can be filled by swiping a cotton swab in a makeup remover or salve. This breaks up the product and removes excessive concealer. Use small and pointed concealer brush beneath the undereye where shadows are observed. Use the finger to blend it out. This helps in melting the concealer and permits a natural finish. This makes the concealer last each day by absorbing the additional oil and leaving the pigment behind. An easier version involves a setting brush loaded with ready setting powder. The next step is to tap it quickly and lightly on the undereye area, where there is an applied concealer. Wait for a couple of minutes for the powder to set. Then, lightly dust off excess powder that does not settle until one gets a natural, smooth look. It is important to go easy on the powder rather than opting for a cook and bake trend. Considering that you will not be under the spotlight every day, it is important to consider this factor. This offers sheer to medium coverage and promises a no-crease finish. Using an excellent concealer is the key to attaining flawless makeup applications. The optimal, maximally impactful concealers are perfect for lightening dark areas, hiding hyperpigmentation, destroying any blemish and work along with the foundation to even the skin tone. A poorly crafted or inadequately formulated concealer can intensify problem areas, making blemishes obvious and creating white casts around darker areas, especially those underneath the eye. It is important to know the nature of the concealer and how it should be applied. Choosing the concealer on the basis of concerns and skin types is important. If one has dry skin, it is important not to opt for a liquid-based concealer with a matte-kind finish, because this emphasizes dryness. If oily skin exists with big pores, don’t opt for creamy, stick concealers, as the textures don’t minimize the pores but magnify them, and add a layer of oil. For creating an even over feel over tiny skin-discolorations, what works best is a light-medium concealer for excellent coverage. For an undereye area, it is important to select the concealer shade that is not more than a single or 2 shades more luminescent than natural skin tones to avoid white circles surrounding the eye region. For the face, choose concealers that replicate the foundation or base color completely. Do not opt for concealer shades like copper, white, yellow, pink and rose as they emerge through the foundation, creating an appearance that is unnatural. One can investigate to find finishes, application techniques, and finishes that function best for one. 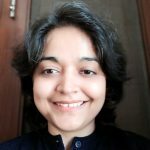 It helps to have a makeup artist showing application tools and techniques; These methods can be useful too. It is best for oily, normal, combination, breakout prone and sensitive skin. The coverage can be ranging from full to light. The finishes available include satin, dewy, radiant, and matte as well as a shimmer. This type of concealer is a versatile concealer as it offers coverage that is buildable and functions well for every skin type except the extremely dry kind. This concealer type is easily applicable. Liquid concealers are ideal for pimple coverage as these are least likely to cake up and it poses the minimal risk of clogging pores as against creamier pores. It is also useful for application on wrinkles, as the sheer and thin type of texture causes it to be less likely to be prone to creasing within 24 hours. Some slippage into lines always possible is essential. The satin finish lasts longer than matte. It is also less likely to undergo migration throughout the day. Liquid concealer with satiny finish has greater movement, yet it can offer a more a natural look, more so over areas that are dry. A certain type of liquid concealer with the radiant shimmery finish is excellent for the undereye regions because it highlights and covers the area with a mild glow. It is a gentle glow, not an overt luminescence. This type of concealer is best for the dry, normal and reactive skin. Coverage can be build, from medium to full. Available types of finishes include powdery and satin as well as matte. Concealer sticks are called so because of their semi-solid texture, and is often well pigmented and have creamy, thick feel and shine. This concealer type can be dotted or swiped onto a color line and blended. Concealers in stick forms clog pores. It is most suitable for regular, sensitive, dry or combination skin. It is coverage that is easy to build ranging across full to medium. Finishes include creamy and satin. Cream concealers offer medium or full coverages. This kind of concealer comes in the palette, pot, or container form, or even as a compact. Cream concealers work beneath the eyes and are an exceptional concealer option for covering up discolored portions. Cream concealers come with a wide range of slips and may be applied in a stipple motion with clean fingers. Users can also opt for sponge or small concealer brushes. Those with the notably creamier type of finishes are more prone to creases on account of lines or wrinkles. These need setting with loose or pressed powder once blended. Irrespective of the kind of concealer being used, the application methods are common to all. For every type of skin, it is important to prep the face and eye regions with a light moisturizing layer. Don’t opt for emollients or all slips that slide off. If one has oily or normal, a fluid moisturizer or lightweight liquid with a softer type of matte finish provides better results. Certain people find that applying concealers and then the foundation works best, while others work around it another way. This is a choice that remains personal. There’s no one way to apply the concealer. Dab on the concealer onto discolorations, pigmented areas or flaws and imperfections with a finger or a brush or sponge and blend out till there are no clear lines demarcating between the concealer and the skin or foundation. Liquid or even cream to powder or cream concealers should not be applied over foundations with powder, as these can get clumped up and appear mottled. If a powder foundation is used, apply concealers first and allow this to set. Then ensure that the foundation is applied. Finish by placing a concealer with a light dust coat of pressed/loose powder. The concealer with the matte finish may not be set with a powder, because this looks or feels too dry. One can explore and observe the way matte finish concealers look and last sans and with powder. While applying concealers to the under-eye area, use a radiant or luminescence highlighter on the top for light reflective finishes that obstruct shadowed areas. So choose the best concealer for your skin and get that smooth flawless look with zero creases. This can make a real difference to the final outcome when it comes to boosting your appearance and ensuring that every wrinkle or fine line remains hidden, while your inner radiance shines through.